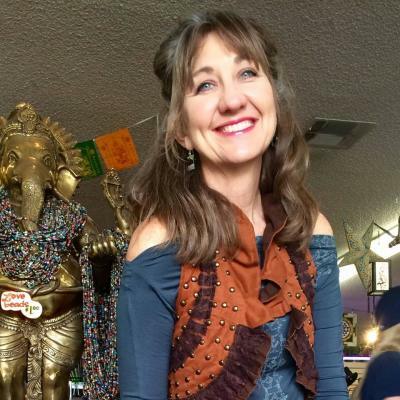 Shanley has 35 years of training, experience and research in the healing arts & provides holistic services and living wellness guidance. Choose one of 7 colors for your healing needs. 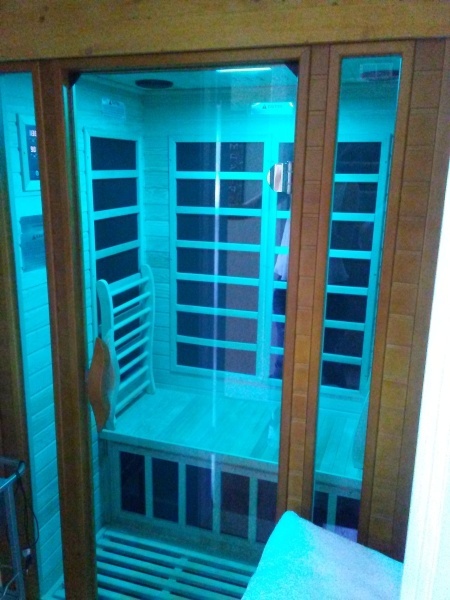 Our sauna features color changing LEDs. Healing properties of PINK: Restores youthfulness, the esoteric qualities; softness and tenderness, romance and caring, politeness, nurturing for children, youthfulness, peace, friendship and femininity, emotional love, and emotional healing. PINK is a healing balm to help counter act the burns of our self-criticism. PINK represents self-acceptance, self-love, self-forgiveness and non-judgment. PINK is the happiness and joy from loving and being loved. PINK resonates at the root or base and heart chakras. Healing properties of BLUE: The color BLUE is associated with the throat chakra, our center of expression. 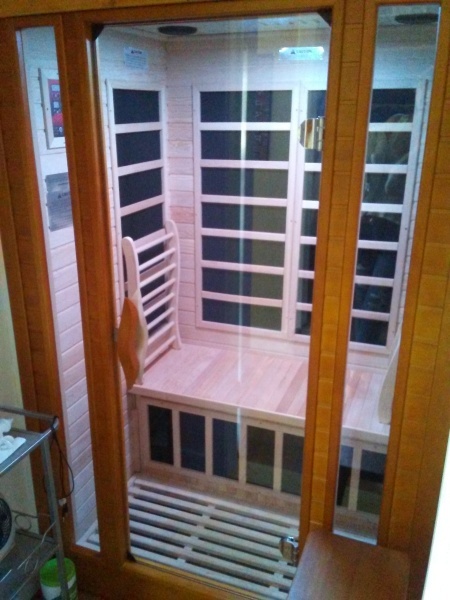 It can cool inflammations, fevers, high blood pressures, headaches, as well as calm strong emotions like anger, aggression and hysteria, and encourage tranquility. BLUE represents what is essoteric, peace and tranquility, calmness, truth, wisdom, justice, council, guidance, understanding, patience, loyalty and honor, sincerity, devotion, and healing.